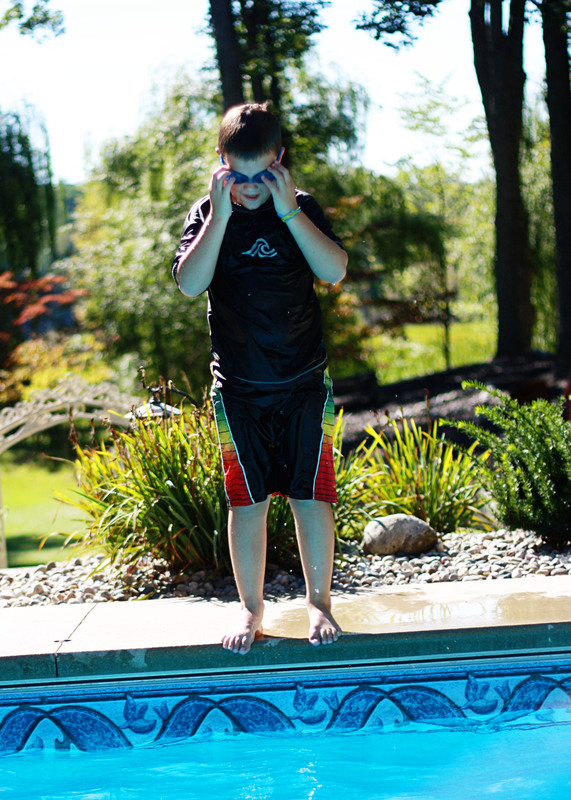 We had the pleasure of spending Labor Day weekend at my in-laws’ lake house…and the neighbors graciously allowed us to swim in their heated pool all afternoon because it was 75 degrees outside…way too cold for the lake in Indiana!! What a perfect ending to a wonderful summer!!! This girl is simply…a fish. She cracks me up because she will not talk to anyone when she’s swimming. She just wants everyone to leave her alone so she can be free in the water. I could watch her swim all day. Especially in her new “Hula Grenade” suit. And showing that turtle who’s the boss of the water now!!! 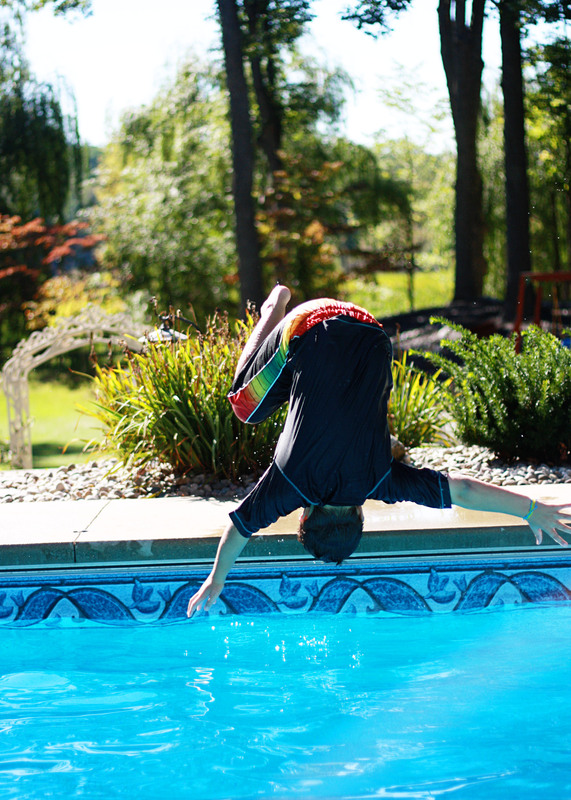 And it was the perfect opportunity for my Gabe to finally do a front flip. He’s been trying all summer but would chicken out. Nothing like your last opportunity to swim until next summer to make you finally do it. 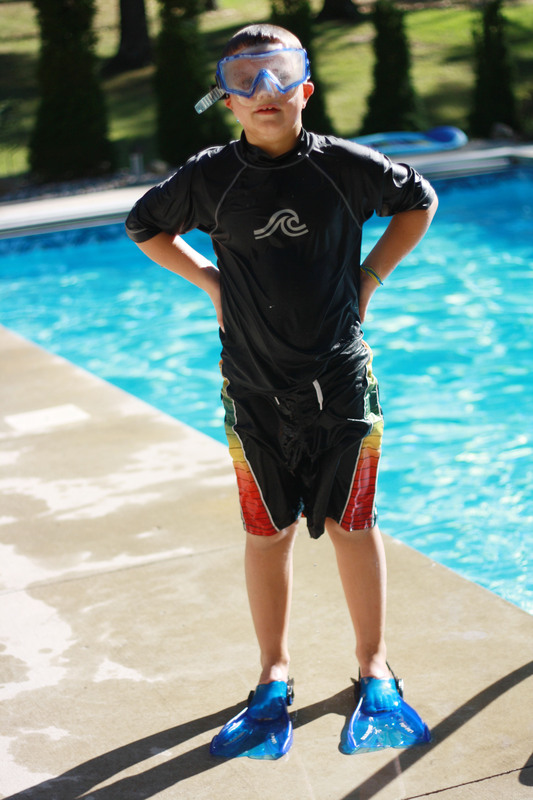 And watching him try on the scuba gear, love it, and swim for hours? Definitely !!! Here’s hoping that fall is just as !!! as summer! Your son is a total ham! Love the cowabunga! jumps. These are great pics. Glad it was a storybook ending to your family’s summer. HA! 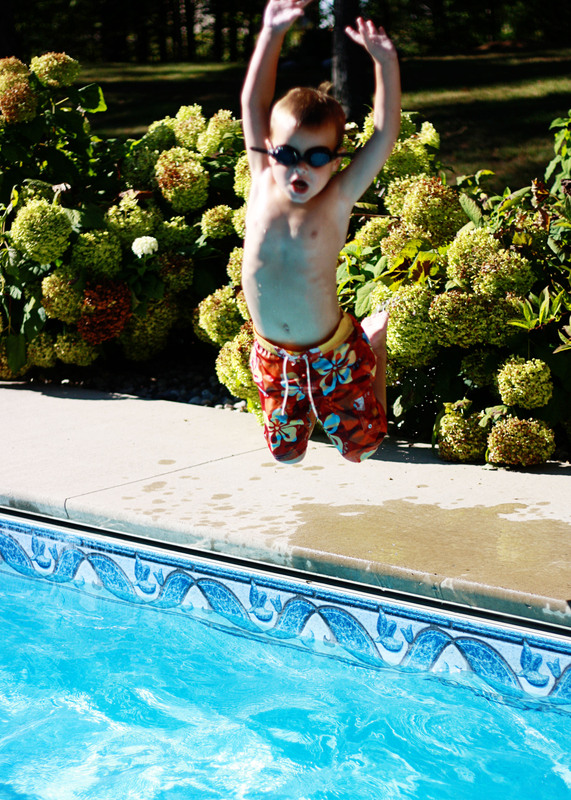 Love Matthew’s pic jumping into the pool! 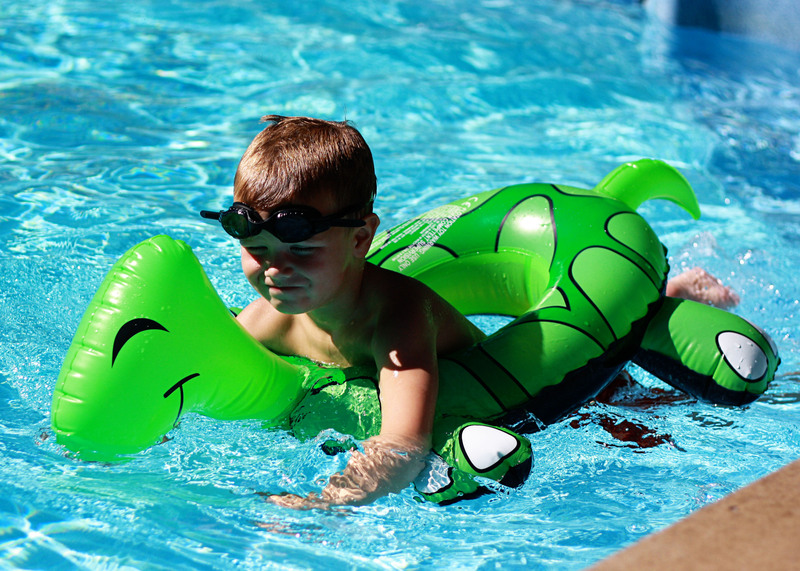 I love watching kids in the pool. 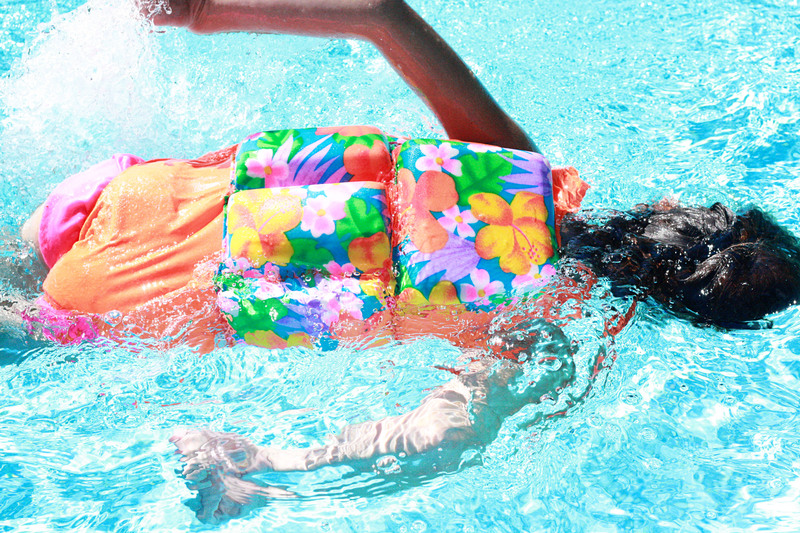 My daughter went from not wanteing her face in the water at the begining of the summer to barely coming up for air. 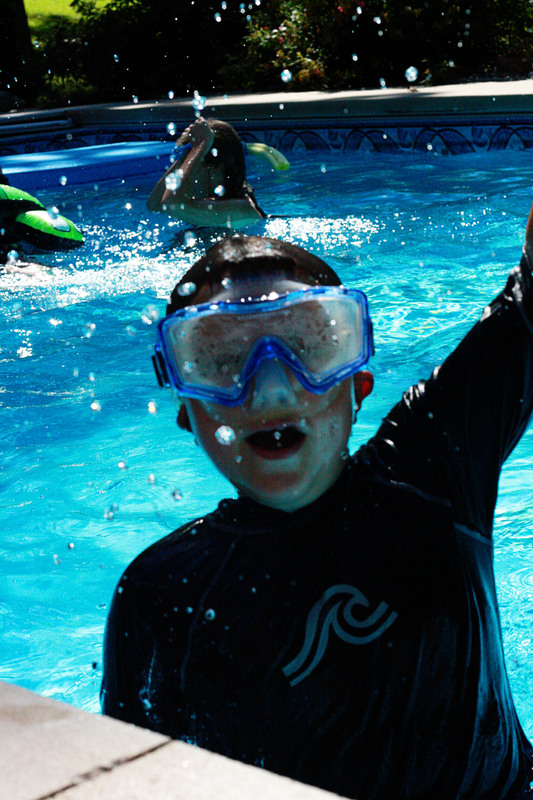 Summer is hard to beat! The pool transformation is so exciting. And those photos are great! 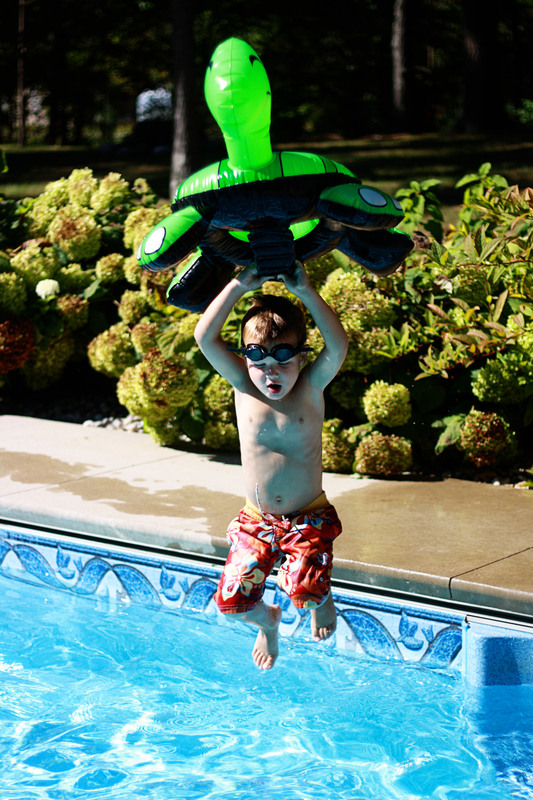 I love the pic of Matthew jumping with the turtle. Hilarious! Who’s King of the Pool now?!?! The picture of Matthew with the turtle is soo awesome! He cracks me up! A swimmer or two bloomed in my family this summer, too. Wish I had some good shots like these. Definitely !! !